SAN FRANCISCO: WhatsApp said Tuesday that it is testing potentially money-making ways to be used by businesses to communicate with customers. 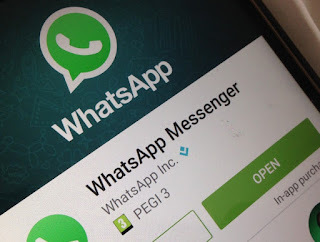 A business version of Facebook-owned messaging application WhatsApp will be free to use at the outset, with plans to charge big businesses for certain tools in the future, according to the company. WhatsApp had yet to work out details of what it would charge, saying it was focused now on refining features with companies helping to test the application. It will be the first move by Facebook to monetize WhatsApp, which has focused primarily on growth. “We’ve heard stories of shopkeepers who use WhatsApp to stay in touch with hundreds of customers from a single smartphone, and from people who are unsure about whether or not a business on WhatsApp is authentic,” the company said in a blog post. Companies will also be able to create profiles providing descriptions, addresses, hours of operation and more. “This is just the beginning of what we want to offer for businesses and our users, and we”e excited for what’s to come,” said WhatsApp, which boasts more than a billion daily users. Facebook acquired WhatsApp in 2014 in a deal valued at some $19 billion in stock and cash at the time.